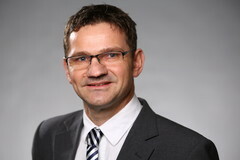 As of 12 March 2013, Prof. Dr. Conrad Schetter will hold the position as Director for Research at BICC (Bonn International Center for Conversion). This position is also linked to a professorship in Peace and Conflict research at Bonn University. No linkhandler TypoScript configuration found for key tx_bicctools_staff.. (46) obtained his habilitation (post-doctoral lecturing qualification) in Development Research after studies in History and Geography. His particular strength lies in interdisciplinary research, which includes topics such as dynamics of violence, ethnicity or policies of intervention. His regional foci have been Afghanistan, Pakistan and Central Asia, amongst others. Schetter is an internationally renowned expert in security policy and civil–military cooperation with emphasis on peace and conflict research. Prior to becoming BICC Director for Research, he worked as Acting Director of the Section “Political and Cultural Change” at the Center for Development Research” (ZEF) at Bonn University. “BICC makes an essential contribution to sustainability- and development-related science and research in North Rhine-Westphalia. As the new Director for Research, Professor Conrad Schetter brings in considerable expertise in central research areas of BICC. I am sure that with him as scientific lead, BICC will expand its reputation as internationally renowned think tank even further,” NRW Minister for Innovation, Science and Research Svenja Schulze congratulates Prof. Schetter and BICC upon his taking office. BICC deals with a wide range of global topics in peace and conflict research. Its six program areas complement each other and enable diverse thematic and methodological synergies. The Center combines applied research with advisory services and capacity development. “I’m enthusiastic about the combination of on-the-spot research and policy advice, which makes BICC so unique. I also look forward to cooperating with BICC’s numerous partners that are located either in Germany or abroad,” Conrad Schetter stresses. BICC has a joint leadership structure, where Conrad Schetter is Director for Research and Michael Dedek is Managing Director for Administration. As an independent applied research institute, BICC promotes peace, security and development. BICC was founded as a non-profit limited company in 1994 with the support of the state of North Rhine-Westphalia (NRW) and has continued to receive institutional funding since then. The University of Pennsylvania’s Global ‘Go-To Think Tanks’ report 2012 lists BICC amongst the world’s leading think tanks in two categories.